Science Fair Student Guide contains all of the information needed to design an investigation and construct a science fair project. The guide also contains registration forms, which are due by 4pm on Friday, March 16, 2018. Student guide can be found here. 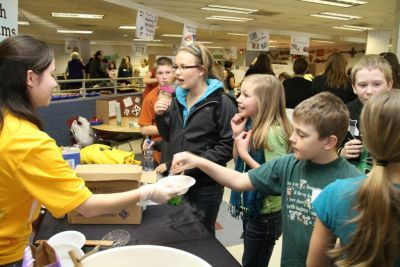 The Western UP Science Fair is sponsored by the Michigan Tech’s Omega Chi Epsilon Chemical Engineering Honor Society, Carnegie Museum and the Western UP Center for Science, Mathematics and Environmental Education.